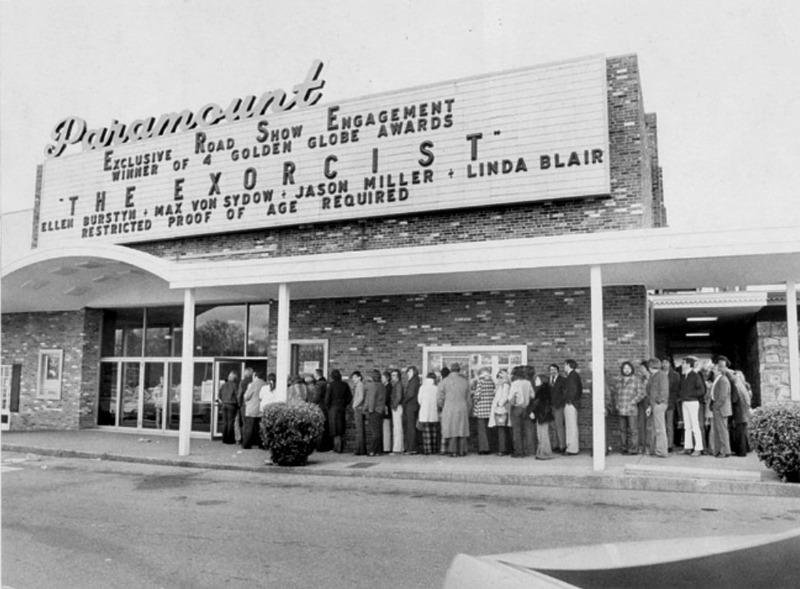 Above: The Exorcist opens at the Paramount Theatre in Memphis, Tennessee, in 1974. “Proof of age required”! The Paramount opened in 1964 and closed in 1990. According to Cinema Treasures, “no trace remains” except for this lone photograph. Below: The Exorcist opens at the National Theatre in Westwood, California. 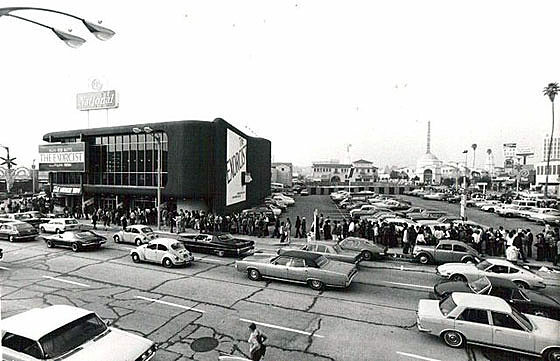 The film received a limited release on December 26, 1973, and the National was one of the 26 participating theaters. The landmark was demolished in 2008, displaced by luxury apartments. 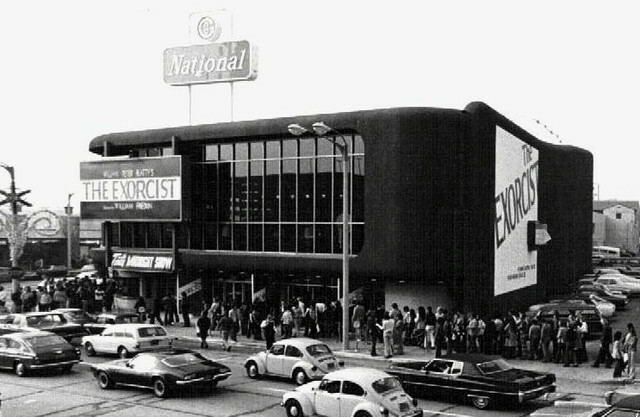 You can see more Exorcist marquees here, as well as video footage of audience reactions at the National and elsewhere. 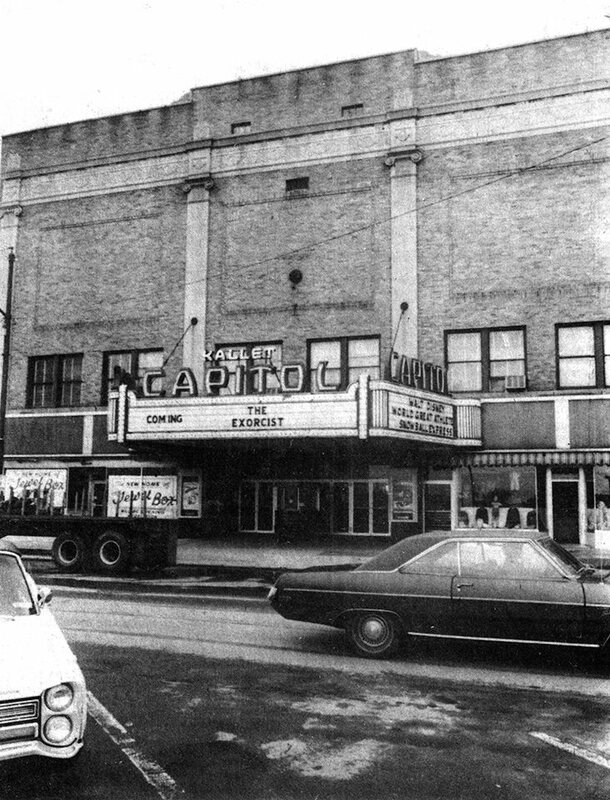 I don’t remember where I found the first photo, but it shows the Kallet Capitol Theatre, now Rome Capitol Theatre, in Rome, New York. Note the two Disney movies on the right side of the marquee: Snowball Express (1972), a staple at elementary schools across America throughout the 1970s, and The World’s Greatest Athlete (1973). 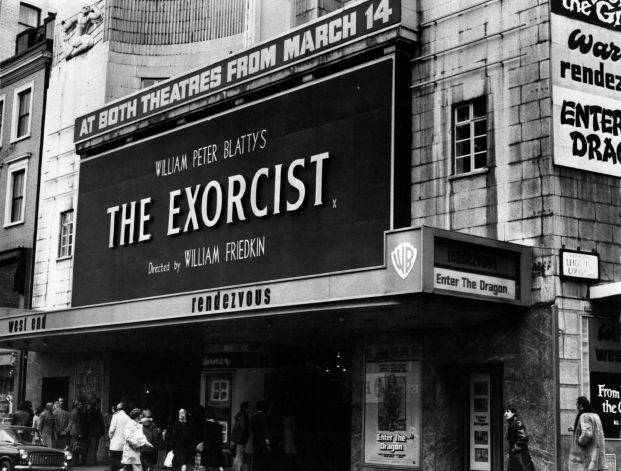 The second photo, from the Seattle Post-Intelligencer, shows The Exorcist UK premiere at London’s Leicester Square Theatre on March 13, 1974. It’s playing with Enter the Dragon. Remember that the next time someone says movies today are just as good as they used to be. The Exorcist remains the most unforgettably frightening movie ever made, in my opinion, although I still think Jaws is the greatest horror movie ever made. The video below shows many more marquees and premieres, as well as audience reactions to the blockbuster, including lots of fainting.